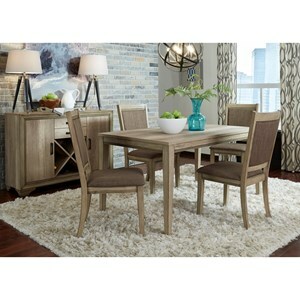 Adding a simple charm to dining room arrangements, this two-four person table set will highlight your home with a look that is relaxed but not under-appreciated. The pieces are made of solid rubberwood finished in a rich and beautiful tone that allows elements of the natural wood grain to show. The legs on the table feature a slight outward slant which not only complements the table but also creates a little extra leg room. 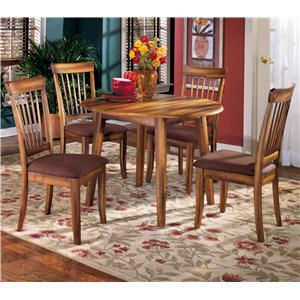 The table top also has a drop-leaf construction allowing it to shrink down a bit when you need a little extra space. 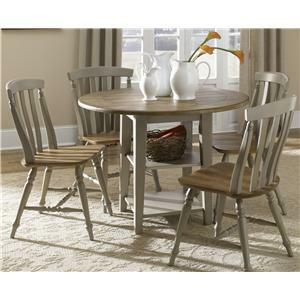 The Simplicity Round Table and 4 Chair Set (with "X" Back Chairs) by Jofran at Van Hill Furniture in the Grand Rapids, Holland, Zeeland area. Product availability may vary. Contact us for the most current availability on this product. 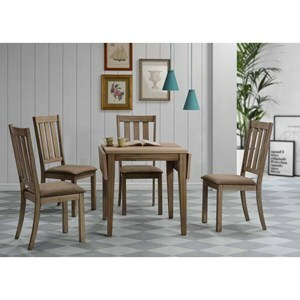 Table Info Simple round table with drop leaf on either side. Side Chair Info "X" back side chairs. Case Detail Straight legs for a simple and casual design style. 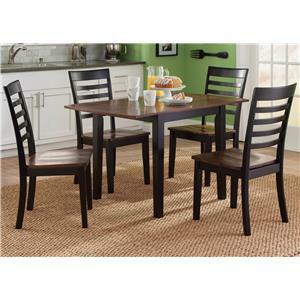 Description: Top Smooth finished tops on tables. Case Construction Cases are constructed of solid rubberwood. During days when life seems to be always on the go with too many tasks to track, a simple home design can provide a relaxed retreat. This is where the Simplicity collection steps into play. Relaxed styling makes its way through this collection with tables that feature classic shaped table tops and straight lined legs. A similar play on geometric shapes is seen in the style of the coordinating chairs. The backs of the chairs criss, cross and railroad for looks that are straight-forward and timeless. 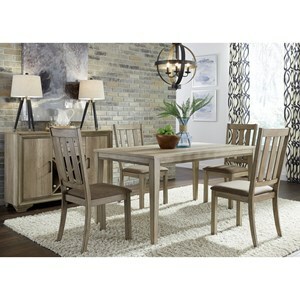 Items in this collection are made with solid rubberwood and work well in kitchens and dining room arrangements. 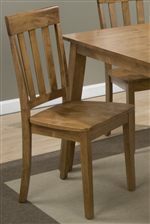 The Simplicity collection is a great option if you are looking for Casual furniture in the Grand Rapids, Holland, Zeeland area. 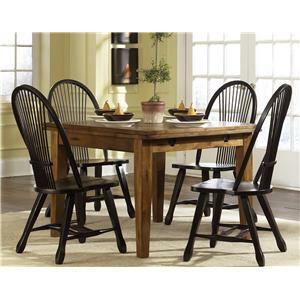 Browse other items in the Simplicity collection from Van Hill Furniture in the Grand Rapids, Holland, Zeeland area.